The unique know-how of ARNANO allows engraving a numerical document under analogical form with a very strong reduction (of X 32 to X170). 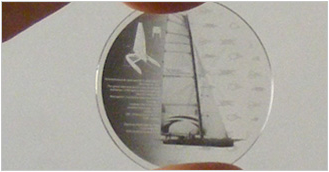 This microscopic engraving is accomplished on wafers of “synthetic sapphire” of 200 mm in diameter. Any types of information (texts, plans, drawing, and photographs) can so be recorded on this extremely long life support. Information (up to the equivalent of 10 000 A4 page) so protected will have a life of several millenniums. 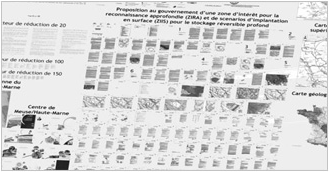 The preservation of numerical data on long term (beyond 30 years) raise today numerous problems. The solution of data storage with redundancy and periodical replication can bring the beginning of answer. However the evolution of numerical technologies, the risk of error introduced during replications (not negligible over long periods) and environmental risk are likely to lose for ever these data. ARNANO offers an innovative solution to “record” for ever final numerical archives. The sapphire is more and more used in luxury products. Thanks to his extraordinary properties (hardness close to that of diamond, very good transparency, insensitive to UV light as to acids or other solvents), this material finds its place in luxury products. It is mainly used in the watch industry (glass, pieces of movement like plates and bridges, back of case), the jewellery but also in the last luxury mobile phones (screen, keys, front panel).